Many software-as-a-service (SaaS) contracts grant a “license” to use the vendor’s software. That’s a mistake. Licenses are for on-premise software. SaaS is a service, as the name implies, and it doesn’t need a license. And if you’re the vendor, a license can hurt you. Some pundits argue that a “license to use” SaaS just means permission to use it and does not grant a copyright license. But why take the risk, since a SaaS contract using the word “license” could hurt the vendor in at least four ways? Patent License: Lawyers use “license” to grant patent rights too. So a customer could argue that its SaaS “license” gives it rights under the vendor’s patents — rights to build and sell its own software similar to the SaaS system. Right to a Copy: In a dispute, a customer with “license” in its contract could demand a copy of the software running the SaaS. 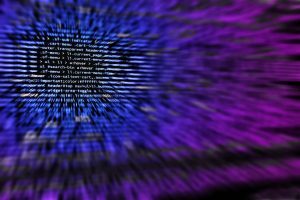 Maybe an ex-customer claims wrongful termination of its contract, for instance, and argues that it now needs a copy of the vendor’s software to manage its business and minimize losses. Licensing language, with its implied right to copy, could support that argument. Bankruptcy: Intellectual property licenses generally continue even after the vendor files bankruptcy. So if the vendor goes through reorganization, customers with “license” in their contracts could argue that they keep their rights to the SaaS. If you’re granting licenses for SaaS, you may be confused about its other key differences from on-premise software. For instance, SaaS contracts don’t need maintenance clauses, which call on the vendor to fix the customer’s copy of the software. 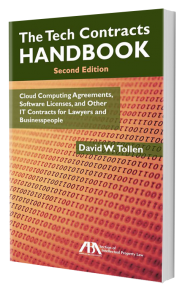 Rather, SaaS contracts need service level agreements (SLA’s), which recognize that the vendor hosts the software and calls on it to keep the system running. SaaS contracts also don’t need updates and upgrades clauses. Again, the vendor hosts the software, so it provides any revisions as a matter of course. Of course, your deal may involve both SaaS and on-premise software. 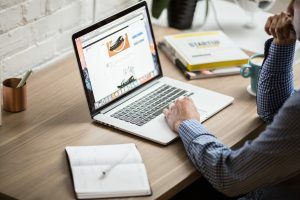 A SaaS vendor may provide its main offering online but also provide an application for customers’ computers — something that helps those machines talk to the online service. Don’t let that confuse you. What you need there is a software license covering that one installed app, wrapped in the larger SaaS subscription contract. The license addresses the installed app only, not the SaaS system on the vendor’s computers. This article is an update of an earlier version, posted in 2011. I agree with your perspective that licenses should not be granted in SaaS agreements, which are really services agreements. However, there appears to be a trend in US SaaS agreements to grant a “license”, even in a pure services scenario. There is very limited analysis on this point, other than granting a license may protect service provider’s ability to launch IP infringement claim in the even of unauthorized access or use. Have you had more detailed discussions about this point with others practising in the area? Would appreciate any further analysis you may have. Many thanks.